Located on Highway 80/27 and 2.5 miles west of Lake Okeechobee, this Clewiston hotel features an outdoor pool and whirlpool. The rooms and lobby are decorated in bright, bold colors. Rooms at the Holiday Inn Express Hotel & Suites Clewiston are equipped with free Wi-Fi and a flat-screen cable TV. A microwave and a refrigerator are included. A breakfast buffet, including cinnamon rolls, bacon and omelets, is served each morning at the Clewiston Holiday Inn. Free coffee is also available. Guests can enjoy free access to the on-site fitness center. The business center offers a public use computer and a free newspaper is delivered to each room daily. The Holiday Inn Express Hotel Clewiston is 1 mile from the Clewiston Museum and less than 2.5 miles from Sugarland Park. Situated in the heart of Clewiston, Clewiston Inn offers rooms with free Wi-Fi and a TV with premium cable and satellite channels. It features exercise and fitness facilities. The air-conditioned rooms at Clewiston Inn are elegantly decorated with dark wooden furniture. All rooms have tea and coffee making facilities and an en suite bathroom. Guests can enjoy steaks, seafood, and pasta in the restaurant. The Everglades Lounge, with its unique wrap-around mural of the Florida Everglades, is a great place to relax with a drink. The Clewiston Museum is just 0.1 miles from Clewiston Inn, and the Airglades Airport is 7.2 miles away. Free parking is available on site. 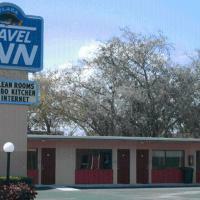 This motel in Florida is a 5-minute walk from Clewiston Museum. Free Wi-Fi is available throughout the motel and the traditional rooms include cable TV. A microwave and a refrigerator are provided in all rooms at the Executive Royal Inn. Each room is air conditioned and has carpeted floors. This pet-friendly motel offers on-site laundry facilities. Clewiston Golf Course is 1.6 miles from Royal Executive Inn. Fishing and boating are available nearby on Lake Okeechobee. Located on Highway 27, this motel is a 7-minute walk from the Clewiston Museum. It offers free Wi-Fi access and has a front desk that is staffed 24 hours a day. Each room at the Motor Inn is equipped with a microwave and an iron and furnished with a work desk. They also have cable TV. The motel is air conditioned and pet friendly and its front desk offers fax and copy services. Guests can get a drink from the on-site vending machine. Lake Okeechobee is a 5-minute walk from the Motor Inn. Clewiston Golf Course is 1.8 miles away. 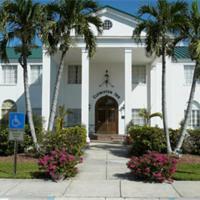 The Plaza Travel Inn is located in Clewiston city centre, just 5 minutes’ drive from Lake Okeechobee. This hotel features a microwave and refrigerator in each room as well as free Wi-Fi. Cable TV with the HBO movie channel is offered in every room at this Clewiston hotel. Guests will also enjoy the added convenience of in-room ironing facilities and a hairdryer is provided. Free parking is possible on site at the Clewiston Plaza Travel Inn and the entire hotel is air conditioned. Guests can fight off low temperatures, as the hotel also offers heating. Sugarland Park is located less than 2 miles from this hotel and the Big Cypress Indian Reservation is 30 miles away. Billie Swamp Safari is 42 miles from this property.